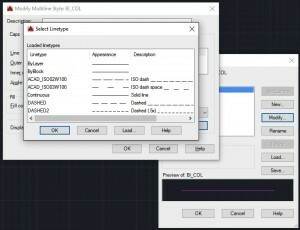 By default design, AutoCAD’s line is a single entity. This singularity of the line allows it to be treated as a simple drawing element without the leverage of more complex types. However, for those of you who may require such a feature, there is a way other than grouping different colored lines into one. As said, by default the line is a simple element hence to replicate functionality not built-in, we need to setup the proper environment before we proceed with the actual development. See the below screenshots for a step by step explanation of the prerequisites of sawing multicolored lines. 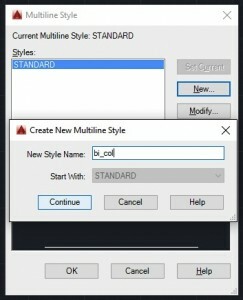 Step 1: Command: MLSTYLE. 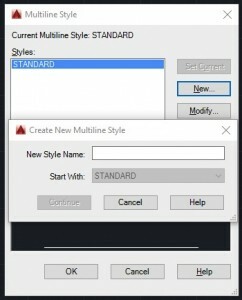 Use the command MLSTYLE to access the Multi-Style menu. When you press enter, the dialogue box should open up. Give your profile a name and press continue for the configuration menu. The name that you entered is on the top of the current screen. 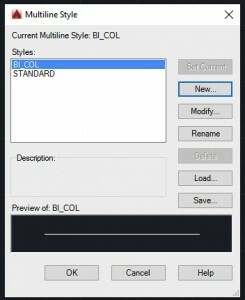 That’s your profile configuration screen where you can define your style. Caps – For a multi-colored line, we’re going to select the Line option for Start & End. The angle doesn’t matter for now. Experiment with it on your own when you want the line to start/end with an arc. Fill – This is the background color. 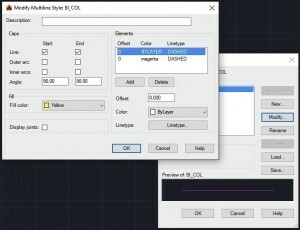 If this is set to none, then where you assign the line to inherit the color from the layer, the line will be drawn transparent. There are two functions here, we’ll cover both later. Display joints – Whether to display the joints where the intervention is defined. Elements – Just as on your canvas, the elements section refers to the elements you will be drawing when using this style. The properties are shown below. For multi-colored lines, the offset should be kept to 0 for all elements defined. This is because the offset is vertical in nature and displaces the lines from each other placing them upon one another. Add another element with the properties as shown below. Line type – Define the kind of line you want this element (segment of the final line) to be. Note: We’re using the dashed line type for both elements. The line types can be loaded in the case you don’t see them when you click on the “Line type” button. 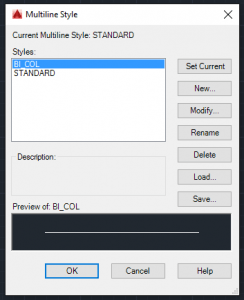 Load line types if you can’t see the ones you need by clicking on load and selecting from the list as shown below. Using the Dashed line type we set up both lines to contain dashes within them. Here the two features of the Fill option come into play. As can be seen below, the first element’s color is inherited from the layer. Which basically means that one Magenta colored line with dashes will have yellow behind it because that’s the base layer. This can be left to colorless so you can have a line that alternates between opaque and transparent after the same interval. Now the preview shows a white line because the element on top is taking its color from the layer which previews as a white line. Step 5: Set the new profile as current. With that, you’ve prepared your default environment for some workaround-fashioned multi-colored lines. Let’s draw! 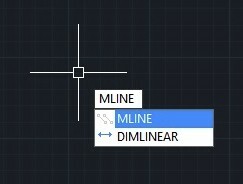 The line needs to be drawn using the MLINE command. 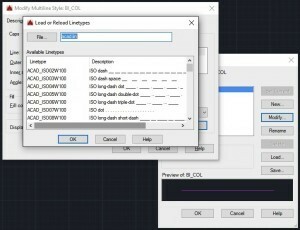 This selects the line tool with the current multistyle profile. Now draw the line. This is pretty basic, but just to rid everyone of confusion, the colors will only show once the drawing is committed. So don’t be disheartened if you don’t see two hues after the first click. (See below). If interested in more tutorials, check out these AutoCAD exercises. 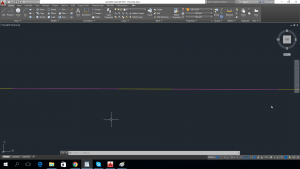 Do you have another way to create multi-colored lines? Leave a comment! Nice article.It is very useful for me.